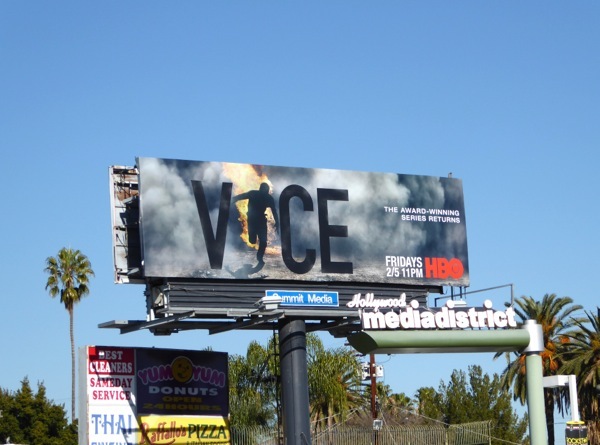 Vice, the magazine turned media empire, returns for the fourth season of its Emmy Award-winning HBO series with this eye-catching billboard creative to match its often incendiary style of reporting from around the globe. 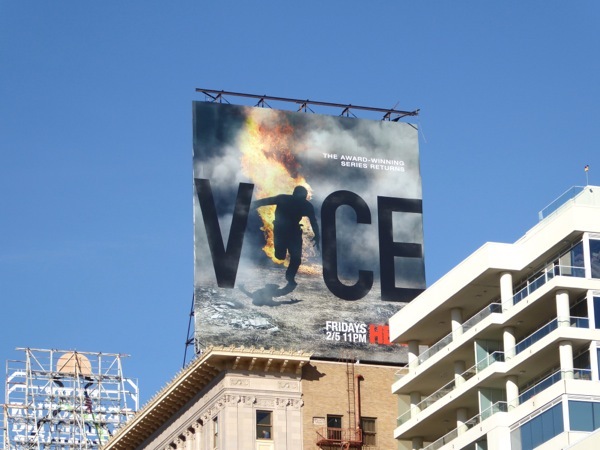 Expect more of the show's uncompromising, on-the-ground investigative journalism from hotspots all over the world, covering conflicts, tragedies and injustices where others fear to tread. 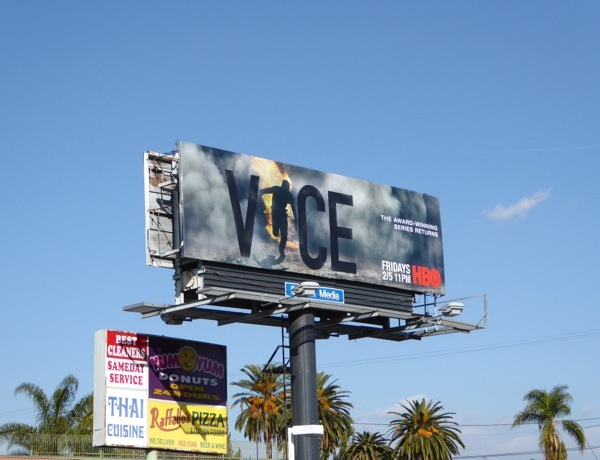 These season four billboards with the striking burning man effigy incorporated in the the series title were first spied along Highland Avenue at Melrose Avenue on January 12, then later standing out high above Vine Street in Hollywood on January 26, 2016. Daily Billboard loves this evocative ad design and if you like it, you may also want to take a look at these American Daredevils billboards too. 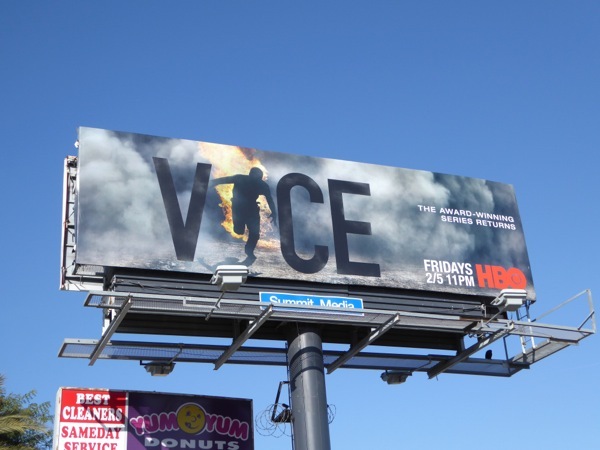 If you're a fan of the compelling documentary series, be sure to also check out these previous season promo billboards for Vice from recent years. 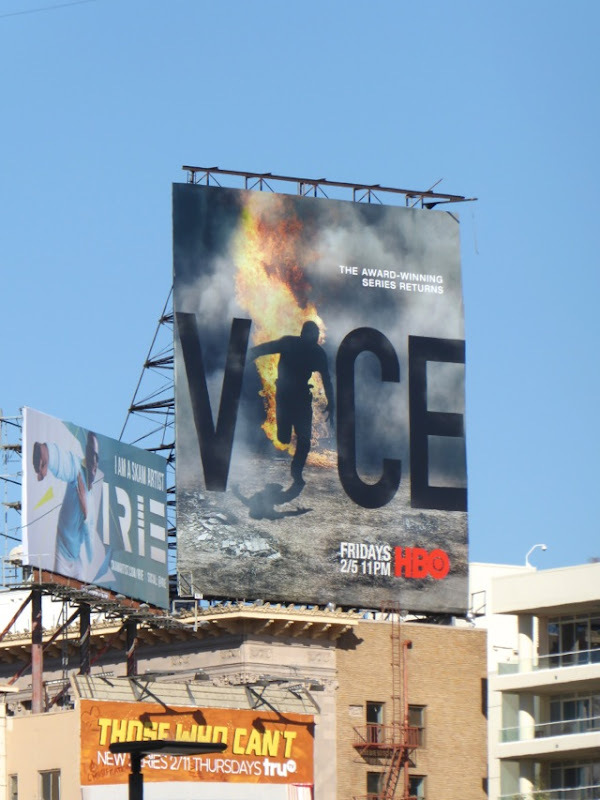 With so many on-going wars, epidemics, disasters, crises and environmental and economic emergencies around the world, sadly there's no end to the source material for Vice to cover.